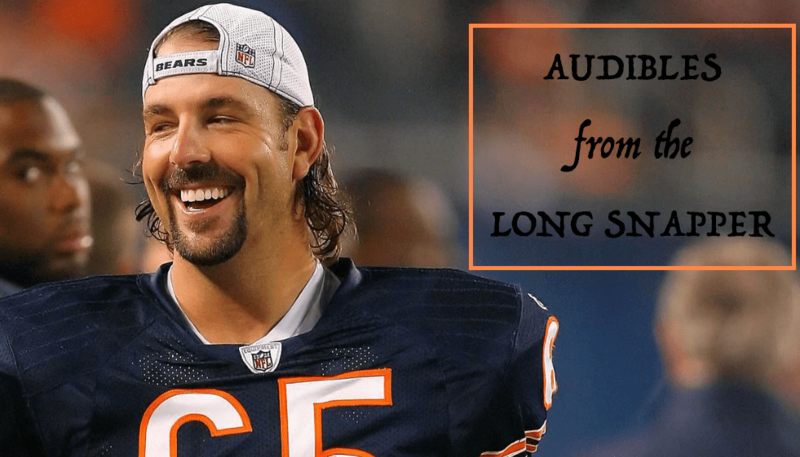 Da Bears Blog | Audibles From the Long Snapper: Packers/Bears, Pass Interference, Ted Phillips & More! On the drive home after the Eagles loss, Matt Nagy called Andy Reid. Two weeks later, Reid talked to Nagy a few days after the Chiefs lost to the Patriots. Brad Biggs says Matt Nagy is serious when it comes to correcting the Bears kicking situation. It is the biggest issue still facing the team as they head into the 2019 season. Virginia McCaskey is being featured in a documentary celebrating 100 years of the NFL. There’s a good chance I won’t watch this documentary. There are going to be special uniforms for this Bears season. And Patrick Finley rejoices.